Hope you didn't forget Chris Robinson who were at NODE. I haven't forget as he was the only who built the handheld Raspberry Pi-powered Linux terminal. And this techie freak have back again with his new amazing project which will really unbelievable. Robinson once again with his freaky mind, bringing the changes with Linux. 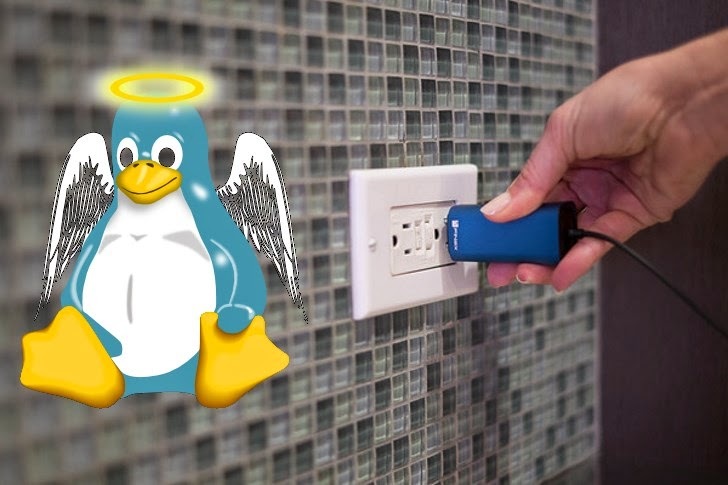 He is getting Linux into a tiny size, and that also in a body of USB charger. Isn't really freaking ??? But it's possible. On this new project Robinson have used RaspberryPi compatible ODROID-W development board, running Raspbian OS, combined with a USB charger with US, UK and EU attachments so you can use it internationally. The cool thing is that all you need to do is plug it in and that’s it. You just leave it anywhere within wifi range, and it will run with constant power and is small enough to be inconspicuous. There are quite a few applications for something like this, including: personal file/media server, a silent motion alarm (when combined with the RPi Camera), a TOR relay, a pentesting tool, a Bitcoin node, personal VPN or just a general use remote Linux system - he wrote. For cautions Robinson warns that you obviously need to be pretty careful disassembling the charger but he had provided a full guide with setup instruction on how to and what to you need.